What is AMT - TL? 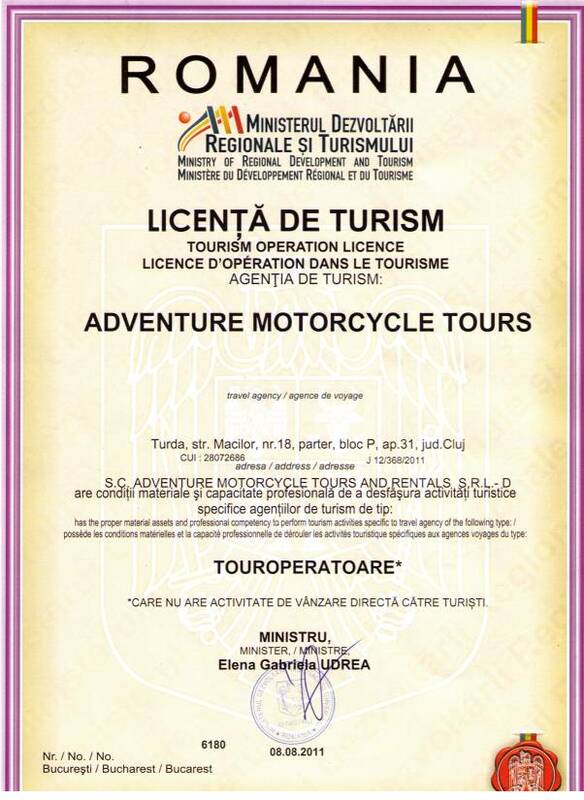 What is Adventure Motorcycle Tours - Transylvania Live? Adventure Motorcycle Tours and Rentals, the most important motorcycle tours organizer in Eastern Europe, provides individuals or organizations with solutions to their travel needs, represents the interests of a client and deals directly with rental companies and other trip service providers. We tackle issues such as competitive rates, contingency planning, organizing all the logistics of a trip, and how to get the customer to their ultimate destination. Launched in 1995 Adventure Motorcycle Tours - Transylvania Live is always searching for better values and continuously optimizing existing services. Professional staffs are not only ready to answer current needs, but can also anticipate future requirements in the constantly changing marketplace. Adventure Motorcycle Tours - Transylvania Live comes with experienced and attentive English, Spanish, German, Italian, French, Hungarian, Polish or Ivrit speaking guides and visits to major tourist destinations throughout Transylvania, Romania and Eastern Hungary.